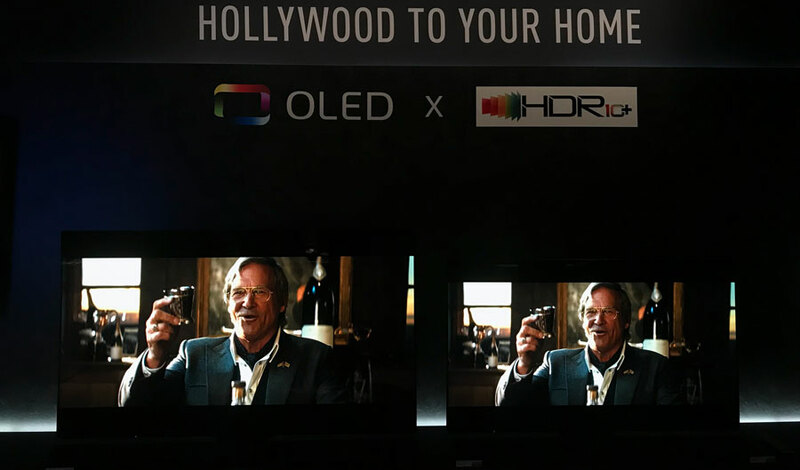 At CES, Panasonic announced two new OLED TV ranges for 2018 - FZ950 and FZ800. The first thing you need to know is that FZ950 and FZ800 will have identical picture quality. The two TVs are based on the same OLED panel with the same anti-reflective filter (sans magenta tint) and processor. The only difference is in sound (specifically, the soundbar) and design. No matter which TV you have purchased at last, this article will gives you the easiest way to enjoy 4K videos on FZ800/FZ950 TV. 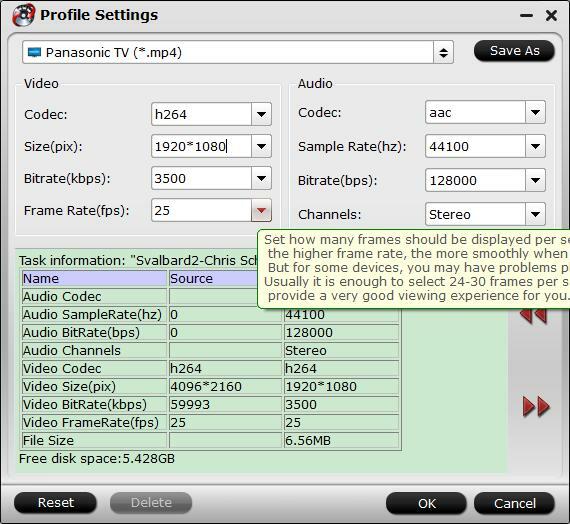 Have you met some playback issues when you try to play 4K videos on Panasonic FZ800/FZ950 TV? The TV even can't recognize the 4K file you store on external ssd card from the USB. Or it's very jerky when playing the 4K videos. When facing the same issues mentioned above, the first thing you can do is connecting your Panasonic OLED TV to the internet and perform a software or firmware update. If this method does not solve th problem, then the problem may be caused by a codec incompatible issue. MP4: Most 4K videos are MP4 video format which can be wide used by most 4K devices, like the 4K media player, 4K game console: PS4 Pro, Xbox One X, Xbox One S, etc, Popular 4K TV, like the LG 4K TV, Samsung 4K TV, Apple TV 4K. Usually you can get the YouTube 4K video file format is MP4 (AVC) in 3840 X 2160 pixels. MTS/M2TS: MTS/M2TS is a file name extension used for the Blu-ray Disc Audio-Video (BDAV) MPEG-2 Transport Stream (M2TS) container file format. This container format is commonly recorded by the trending Sony, Canon, Panasonic 4K cameras or camcorders is in MTS format. AVCHD: AVCHD (Advanced Video Coding High Definition) is a video format designed for high definition camcorder. It uses a disc structure designed for Blu-ray Disc standard compatibility. Sony, Panasonic, Canon, JVC all produced some high-end HD camcorders. MKV: MKV (Matroska Multimedia Container) is another 4K video file format with HEVC/H.265 codec. It is an open standard free container format that can hold an unlimited number of video, audio, picture, or subtitle tracks in one file. In other words, it is a multi-track video file format. Microsoft Windows 10 has already added native MKV and HEVC codec support. XAVC: XAVC is a recording format that was introduced by Sony on October 30, 2012. XAVC uses level 5.2 of H.264/MPEG-4 AVC which is the highest level supported by that video standard. XAVC is also a 4K video file format which can support 4K resolution (4096 × 2160 and 3840 × 2160) at up to 60 fps with 4:2:2 chroma subsampling at 600 Mbit/s. Now, Sony FDR-AX100, FDR-AX33 4K Ultra HD consumer camcorder, Sony HDR-AS100V action camera, etc. all uses XAVC S allowing you to record 4K videos. MXF: Material Exchange Format (MXF) is a container format for professional digital video and audio media defined by a set of SMPTE standards. Many HD camcorders like Canon C500, Panasonic P2 can record 4K video files in MXF format. MOV: A MOV file is a common multimedia container file format developed by Apple and compatible with both Macintosh and Windows platforms. It may contain multiple tracks that store different types of media data and is often used for saving movies and other video files. MOV files commonly use the MPEG-4 codec for compression. You can get 4K MOV file from DJI drones, like Mavic Air model. To play any 4K videos on Panasonic FZ800/FZ950 TV, you will need to output Panasonic TV best compatible MP4 container format with H.264 compression codec. To get this job done, you will need a powerful 4K video converter software, here we would recommend you to download a beneficial tool called Pavtube Video Converter Ultimate for Windows/Mac, which facilitates you to directly output Panasonic directly playable H.264 MP4 format. To get best output playback effect, you're suggested to adjust the output audio codec as AAC. Besides Panasonic TV, the program also gives you the chance to play 4K video on other brand 4K TVs such as Samsung/Sony/Vizio/LG. How to convert and play 4K video on Panasonic FZ800/ FZ950 TV? Step 1: Import 4K video files. Download and install the program on your computer. Get it running and click "File" > "Add Video/Audio" or "Add from folder" to import 4K video files to the program. 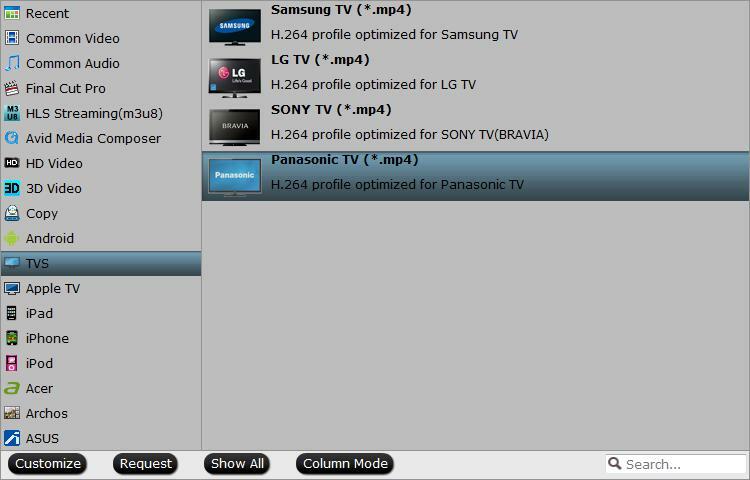 From "Format" drop-down list, scroll down to select "TVS" --> "Panasonic TV(*.mp4)". You also can choose "H.264 High Profile Video(*.mp4)" from "Common Video" category. Then to open "Profile Settings" window, set the output video Size(pix) as 3840*2160. Go back to the main interface, tap right-bottom "Convert" button to start the conversion from 4K video to Panasonic FZ800/FZ950 TV file format conversion process. When the conversion is completed, you will get the most compatible 4K videos for your Panasonic FZ800/FZ950 TV for enjoyment.